By course of nature, women and Doulas, are naturally drawn to ‘serve’ other women during pregnancy and birth. In January 2006, a team of passionate and experienced women began to teach other women to provide support during pregnancy and childbirth. Emotional and physical experiences that having a child brings about. Dora Kroon, Thea van Tuiijl, Trudie Kamphuis, from various disciplines, stood at the head of the first Doula education in the Netherlands. ‘The Doula’ was on the map, a new valuable occupation in our well known birth care. Abroad (in Anglo-Saxon countries) her presence already existed far longer. Many foreign women who give birth now were born in the presence of a Doula. 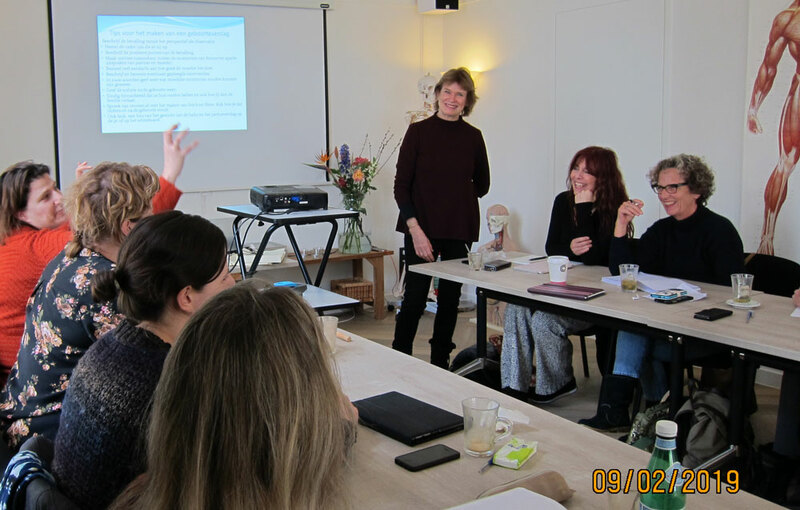 I myself began the Doula education in January 2009 in Utrecht. Since 2015 I also teach there and I guide trainees. Many Doula’s have made their start since 2006. We are no longer unknown, an ‘oh good, there is a Doula present’ can often be heard accompanied by a warm welcome from medical staff. Our presence is to serve also to the midwife or doctor. They carry the medical responsibility for the smooth delivery. We support the woman in labour (and partner) by being there from beginning to end, not leaving her alone. There is no-one who takes over our place. As Doula’s we remind the woman of her primal strength, of her ability to connect to her partner, and of her ability to make her own choices. For a single mother a Doula is an almost indispensable part- she is fully there for the mother who is bringing her child into the world. Intern Doula’s, who are following the education, can be found on doulaopleiding.nl. You can ask them to be present during the birth. These Doula interns have already gained a lot of knowledge and experience during the education. They have worked on their personal development and are capable of following medical situations, to understand them, and explain them. I very much enjoy working with the intern doulas in their initial placements, giving them my support as they grow into their new roles.